If you want to come just to do investigate a haunted hotel, click here for tickets. 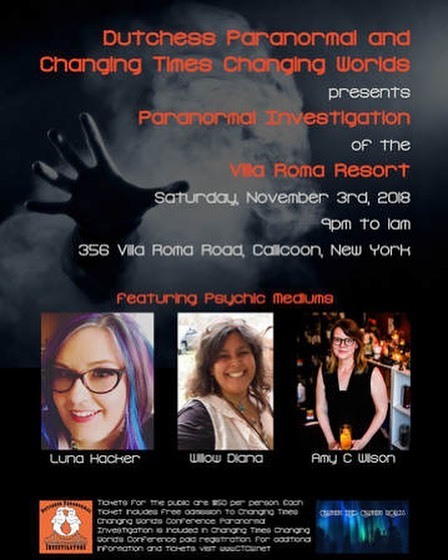 Dutchess Paranormal Investigators AND Changing Times Changing Worlds Conference along with 3 local Hudson Valley Psychic Mediums, Luna Hacker, Amy Wilson, Willow Diana, will be leading a Paranormal Investigation @ Villa Roma Resort Callicoon, NY. When you purchase your $50 ticket to the Paranormal Investigation, you will be able to attend lectures, panels & vendor show going on @ The Changing Times, Changing Worlds Conference over the weekend. CHANGING TIMES CHANGING WORLD -The North East’s Favorite Metaphysical Conference with Heart and Soul. 3 days of workshops, panels, discussions, healing sessions, psychic readers, and vendors. DUTCHESS PARANORMAL INVESTIGATORS- Is a not for profit paranormal investigation group based out of the Poughkeepsie area in Dutchess County, NY . They have help many families in the Hudson Valley area that have experienced paranormal activity in their homes. Holding public events and lectures on the paranormal. Dutchess Paranormal a small group of 4 – Joe , Maryann, Annmarie and Willow . Using the latest scientific methods and tools as well as psychic investigators in their research. LUNA HACKER-Psychic Luna is the On-Air Psychic / Medium for the ” Woodman in the Morning Show on K104.7 FM” Luna is a Clairvoyant, Clairaudient, and Clairsentient Psychic and Channel of Spirit. As a Medium/Channel of Spirit she does not force Spirit in. If the Spirit wishes to come in and communicate she will do her best to connect with them. Luna is an evidential medium, and provides evidence supporting their visitation from the other side. As a Channel she also receives messages from Spirit guides, Ancestors, the Angelic Realm, and Galactic Guides. Luna reads tarot cards, runes, bones, shells and Lace. As a Spiritual Counselor she gives advice on matters of relationships, love, career, finances, and spirituals matters, etc. Psychic Readings are meant to be fun, but also to impart important information to help your daily life. Luna is a Witch, Energy Healer, Root Worker, Herbalist, Sound Healer, Teacher, Artist, Priestess and Ordained Minister. AMY C WILSON – Amy C Wilson is celebrated Spiritual Medium and Psychometrist who has worked with and read for individuals and missing person cases. She has been a practitioner of the Magickal Arts and has worked in various New York City occult stores for over 25 years specializing in healing others through Candle Magick. Amy holds Round Tables every month to discuss various life topics from a metaphysical perspective and how to transmute our energy into positive reflections into our outer reality. Amy also is the voice behind the Reluctant Spiritualist which she created to help other’s become more conscious of thought patterns that are holding them back from their fullest potential. 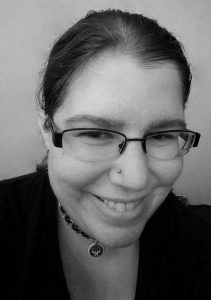 WILLOW DIANA- Along with being part of Dutchess Paranormal Investigators, Psychic Willow Diana is a clairvoyant, clairaudient and clairsentient psychic who receives messages from deceased loved ones, ancestors, angels, spirit guides and even deceased animals. 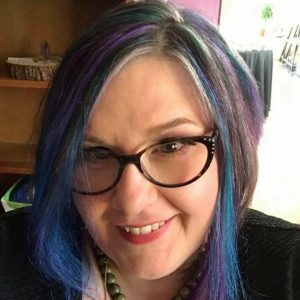 An Ordained Minister and Spiritual counselor She has been a local professional psychic tarot reader, energy worker, Sound healer/teacher, Healing Henna Artist, Herbalist and paranormal investigator for over 15 years. You will find Willow at the Local Holistic Market in the Hudson Valley and Lucky Orphans Horse Rescue Sanctuary in Dover, NY where she volunteers her healing modalities to the herd, humans and the land. She occasionally does readings, teachings and healing sessions @ Luna Enchanted in Marlboro NY. This entry was posted in Wenesday Announcement and tagged Amy Wilson, Duchess Paranormal, haunting, investigation, Luna Hacker, psychic, WIllow Diana. Intuitive Spiritual Consultant, Reiki Master, Sound Healer in Tuning Fork Therapy, Shamanic Practitioner, Crystal healing, Energy clearing/smudging, Psychic Tarot Reader, Henna Artist, Paranormal Investigator. I am an Ordained Minister in the Sanctuary of the Belived in the Order of Melchizedek and Universal Life Church. I am a Usui Reiki Master Teacher as well as Seichim and Integrated Energy Therapy (IET) Practitioner. My strong desire to help people has led me on a magical journey. Over the years I have studied Witchcraft, Wicca, Native American Shamanism, as well as many other Spiritual Beliefs. I have studied Munay Ki, Tarot, Crystal Healing, Meditation, Sound Healing, Runes, Astrology, and the Paranormal. Luna is an Interfaith Minister, Psychic Medium, Witch, Root Worker, Vodouisant, Energy Worker, Teacher, and Hudson Valley Shop Owner. She has been the on- air psychic for K104.7FM WSPK “The Woodman in the Morning Show” for 5 years now. Luna has been practicing Witchcraft, Hoodoo, Vodou and working with Spirit for many years. She was raised Catholic, and still has an affinity for the Angels & Saints working with them regularly in her Hoodoo and Voudou practices. 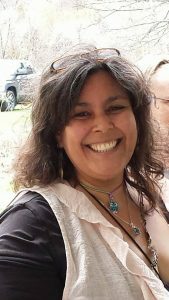 Luna is a Usui Reiki Master Teacher, Seichim-Sechem Master Teacher, Animal Reiki Practitioner/Teacher, IET Practitioner, Certified Tuning Fork Therapist, Certified Crystal/Singing Bowl Sound Therapist, Crystal Healer, & Certified Herbalist. She has studied and continues to study Shamanism, Astrology, Crystals, Hoodoo, Voodoo, Vodou, magick, metaphysics and the occult. Luna is an avid “ghost hunter” and is professional paranormal researcher. Luna is a Mom to a 10-year-old and a full house of pets. She lives and breathes her spiritual practices daily. 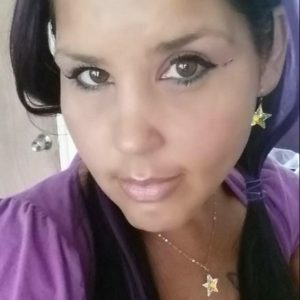 Star is a psychic and spiritual medium who connects people with loved ones from the Spirit world through Evidential Mediumship readings. She also gives insight psychically with Angel card readings, and provides Reiki healings from God source. She has studied Evidential Mediumship at The Journey Within Spiritual Church, with Pastor Janet Nohavec and other well-known and gifted mediums from around the world. She obtained Angel Card Certification from Doreen Virtue and Radleigh Valentine and is a Reiki Master/Teacher earning certification from Jody Cleveland at Hands of Serenity. Star will be offering mediumship readings and psychic angel card readings, plus she will be offering an Open Mediumship Gallery. Nicole Monforti is a self taught tarot reader as well as the artist and creator of The Tarot of Curiosities, a tarot deck 10 years in the making comprised of handmade cut paper collage and photography and text reimagining the 22 major arcana cards as well as all four suits of the traditional tarot through her unique perspective. The deck focuses on themes of Victorian medicine and the concept of the cabinet of curiosities, as well as the architecture of the Kirkbride insane asylums build of the 1800’s. Nicole is an intuitive and learned the art of tarot card reading as a teen. She continued her study into adulthood when she began work on creating a deck of her own in 2005. 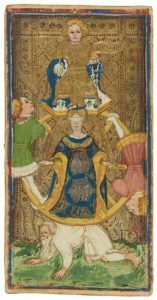 Because of her personal connection to the deck she is able to provide the client with an entirely unique reading experience. Rebecca Oubouzar is an artist, writer, and Kabyle-by-marriage. She has been a practicing pagan for more than 15 years, and has studied and worked with Kabyle culture and symbology for more than a decade. 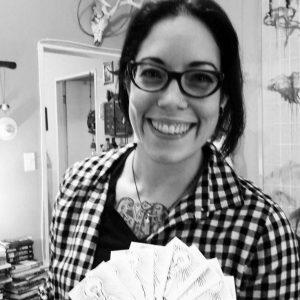 As the co-founder of Raven’s Own, a unique collectibles shop, Rebecca helps to create unique jewelry, tools, and figurines that reflect her eclectic quirkiness. Irreverent and sarcastic, especially with her deities, she spends most of her time herding cats. 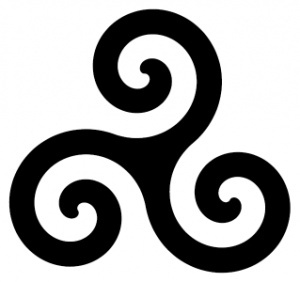 Paths: Norse, Welsh, Wiccan, Heathen, Ancestral Veneration, Runes and Runic Studies, Reiki, Rune Valdr. 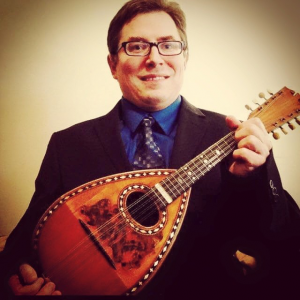 Interests: Audiophile (LOVE MUSIC), science fiction, philosophy, sociology, anthropology, transpersonal psychology, anything Norse, and to do with Deaf culture and Social Justice. Did I mention I am a geek of Technology? Love folk stories and fairytales (misnomer, honestly), and mythology. Of late, been really delving into Wendell Berry’s works, and a longtime fan of Richard Bach. Religious: Been a practicing Wiccan for almost 20 years now, MD recognized Clergy status, 2nd Degree Elder, Coven of Amber Heart, Coven of Amber Rose family of Covens. Was a visiting member of Ecumenicon, then migrated to CTCW, and have been a speaker at a few conventions so far (honored to return each time). Professional” Educational Interpreter for the Deaf, ASL Adjunct Professor at College of Southern Maryland. This entry was posted in Tuesdays Reader spotlight and tagged Angel cards, Medium, psychic, reader, Runes, Taroit. How difficult would it be to get the modern, scientific world to accept the psychic, spiritual, magickal world? That “rational” world is the status quo, and we are at the point of change. The trigger for change is all of us who have had personal experiences with the paranormal and wind ourselves trying to get that accepted by others. When the whole system is set up to deny and mock those who accept the occult, if you come out for it, you are going to bear the brunt of the resistance. 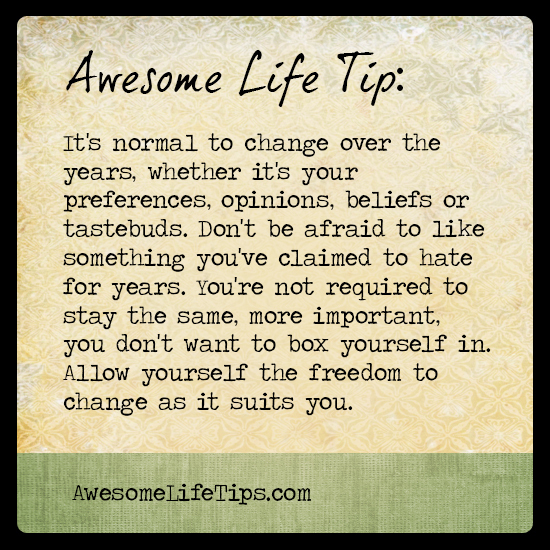 You will also give hope to others who have also experienced it, and felt safer not admitting it publicly. The more people who come out and say “yes, I’ve seen a ghost”, “yes, dowsing works”, “yes, people have ESP”, “yes, we can communicate with plants” and are willing to come out as accepting supernatural beliefs, the more people will say “That makes so much more sense given my personal experience” (and maybe our ancestors weren’t all foolish to believe in this stuff after all). Integration will require that many things change in our parent culture. Medicine could go forward with more success, and fewer side effects. We’d stop exploiting the natural resources because we’d respect their consciousness. People will have to find other things to mock in order to feel superior to someone else. (Wouldn’t it be nice if we could skip that!) All of these changes would be hard, but can grow out of simply raising the next generation not telling them what’s impossible. 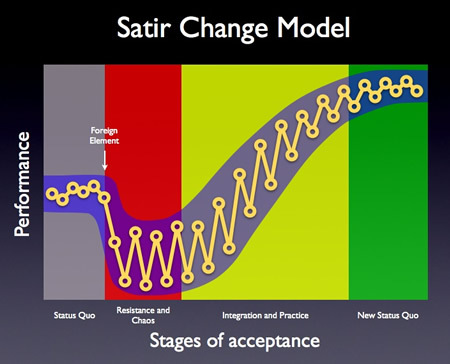 As the chart shows, once we’ve gotten through Integration, we’ll be working on a higher level. Another way to look at it is that we’ll be ready to negotiate the next change and keep moving, spiraling ever upward. This entry was posted in Theme images Sundays and tagged change, cycles, psychic, Tarot.